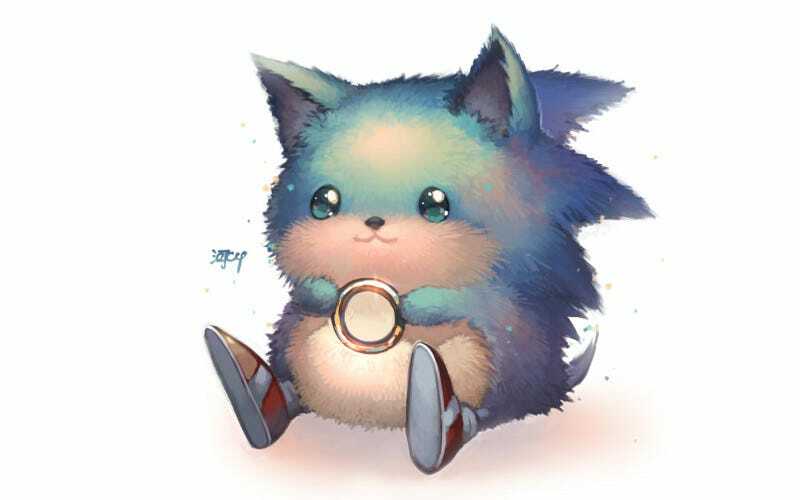 This must be an alternate Sonic whose MO is to make enemies keel over from his cuteness. This must be an alternate Sonic whose MO is to make enemies keel over from his cuteness. He was doodled by kawacy, who otherwise specializes in anime-style art—his gallery is right here, if you want to check him out, and below’s a timelapse video depicting the painting process.